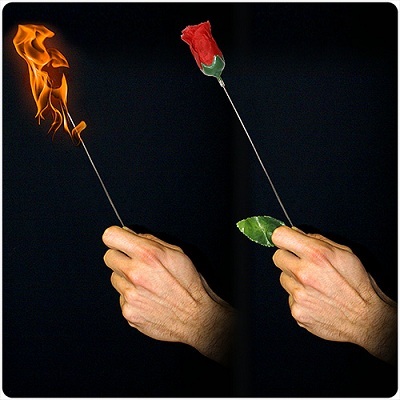 A lit flaming torch instantly changes into a beautiful rose. The rose then uncannily starts to rise in the performers had. • The effect is easy to perform, and will have a great impact on any kind of audience.